New Jersey Governor Chris Christie has been hit with a criminal summons for his alleged role in the 2013 closure of George Washington Bridge. The case will move to the Bergen County Prosecutor’s Office to determine whether an indictment will follow. The news comes as two former aides of the governor are on trial for allegedly closing part of the bridge after a mayor refused to endorse the governor. The Republican governor has repeatedly denied knowing about the lane closures. Bridget Kelly, Chris Christie’s former deputy chief of staff, and Bill Baroni, a former Port Authority of New York and New Jersey executive, are facing conspiracy and fraud charges for allegedly closing part of the George Washington Bridge, a major bridge connecting New Jersey to New York City. Federal prosecutors say the move was political retribution to punish Fort Lee Mayor Mark Sokolich for not endorsing the governor in his re-election bid. 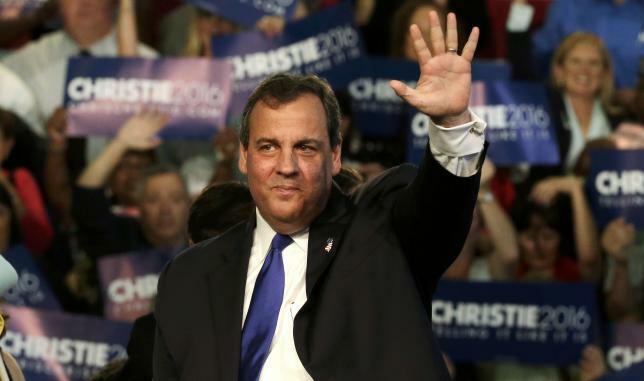 Revelations about “Bridgegate” have dogged Chris Christie, who endorsed Republican presidential nominee Donald Trump in a surprising move after dropping out of the primary race earlier this year. Chris Christie has become a prominent supporter of his former rival, Donald Trump, and manages the New York businessman’s transition team should he win the White House. David Wildstein, a former Port Authority official who pleaded guilty last year, testified late last month that Chris Christie was told about the bridge closure at a 9/11 memorial service two days after the lanes were blocked and laughed about the revenge plot. Activist Bill Brennan filed the official misconduct complaint against Chris Christie in September after David Wildstein’s testimony. The prosecutor’s office will decide whether there is enough evidence to indict Chris Christie for official misconduct, which could lead to a sentence of five to 10 years in prison. Chris Christie appointed the prosecutor who will review the case. The Bergen County Prosecutor’s Office had “no comment at this time”, spokeswoman Maureen Parenta said in an email to Reuters. Chris Christie’s spokesman Brian Murray said the ruling would be appealed and reiterated the governor had no knowledge of the plot. “This is a dishonorable complaint filed by a known serial complainant and political activist with a history of abusing the judicial system,” he said.